Strong global economic growth is expected this year, and the U.S. economy will see “substantial acceleration” over the next two years, according to Goldman Sachs economists. Such welcome optimism, as economic growth opens the door to new products, services, and markets for all companies. Yet as we savor this positive outlook, let’s remember there’s also the risk of a huge misstep: failure to have the right talent to respond to new opportunities. That’s what motivates us at Workday, which is why we’ve designed a system for business users that brings human resources and financial data together in ways that deliver the kind of insights that have been available to the manufacturing world for many years. This is more important than ever in a business climate that’s all about growth, as one of the primary levers for that growth is talent. Visibility. Companies first need to learn about their people—how many work there, where they’re located, what are their job roles, what they’re working on, how much they cost, and how they’re performing. When companies have the right tools to learn these things, they can achieve alignment. Alignment. With good data in hand, companies can assess if employees are doing the right things and in the right way, and if what they’re doing aligns with company goals so they can be rewarded accordingly. At this important stage, HR and business managers are aligning the workforce with initiatives, goals, and operational imperatives. 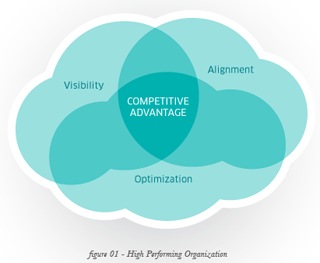 Once alignment is achieved, organizations can achieve optimization. Optimization. Aligned companies are in the best position to assess their people practices and adapt them, as needed, for optimal business results. They now have the discipline and structure to continually evaluate such things as workforce composition (the employee-to-contingent worker ratio), span of control, staffing strategies, pay-for-performance programs, leadership development, and succession management. “This, friends, is the trouble with HR. In a knowledge economy, companies that have the best talent win. We all know that. Human resources execs should be making the most of our, well, human resources—finding the best hires, nurturing the stars, fostering a productive work environment—just as IT runs the computers and finance minds the capital. HR should be joined to business strategy at the hip. It comes from a Fast Company article penned in August, 2005, by Keith H. Hammonds, in what became one of the most-read articles about the HR business, “Why We Hate HR.” More than five years later, how many HR departments consider themselves any closer to being “joined to business strategy at the hip”? While I don’t agree with all of the author’s conclusions, I certainly agree that HR needs to be better aligned with the business. I’d also argue that we now have tools available for business users to gain unprecedented visibility into the workforce, ensure alignment to the most important initiatives, and achieve the last frontier (most critical in these times) of business management optimization. These three things are absolute requirements for HR to be “joined to business strategy at the hip,” and to foster a high-performance culture that captures the best of a growing economy.